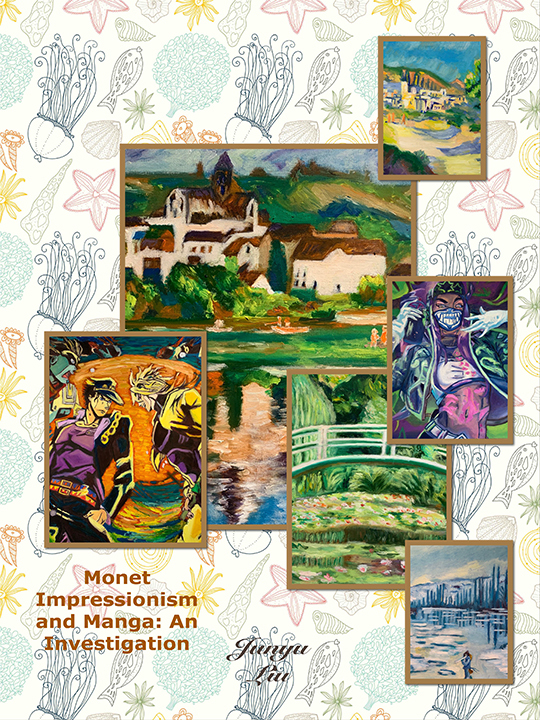 Monet Impressionism and Manga: An Investigation, thesis exhibition by Junyu Liu is a study of Impressionistic painting style fused with Manga animation subject matter. Many of the paintings focus on Monet’s style of Impressionism, employing loose brush strokes and thick layers of oil paint seen in his figure painting and landscapes, but applied to colorful, energetic Manga imagery. This experimental process considers a new art form in which traditional methods and themes influence contemporary practice, departing from formalities of conventional oil painting. Opening reception will be held on February 15, 2019, 5-7pm, with an artist gallery talk at 5:30pm in the Daniel Arts Center Student Gallery. Light refreshments will be served. The exhibition is on display February 15-21, 2019 and is free and open to the public.